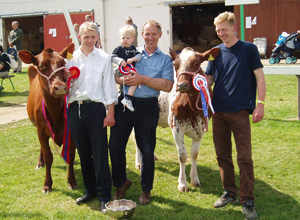 Pedigree Dairy Shorthorns and Ayrshires have been the lifeblood of the Baynes family farm, near Slaley, Hexham, Northumberland since 1932. However, in recent years the farm-gate price has fallen and with the EU now favouring less intensive, more environmentally-friendly farming the family decided the time was right to process their own milk. So, with the help of funding from Defra's Rural Enterprise Scheme, Northumbrian Pedigree Milk & Cream was launched in May 2005. Milk from the Marleycote herd is processed in a new purpose built building, installed with new milk processing equipment and delivered in a chilled van, ensuring that the customer gets only the freshest milk and cream, direct "From Moo to You". Northumbrian Pedigree Milk & Cream is not homogenised in order to keep its own unique, natural and much sought-after smooth taste. Being supplied from one farm allows you, the customer, the unique ability to trace your product back to the cows which produced it. 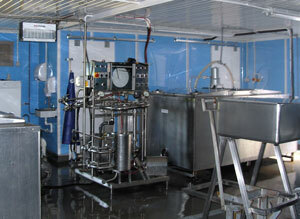 You can be assured that what is fed to the cows is reflected in the quality of the milk they produce. 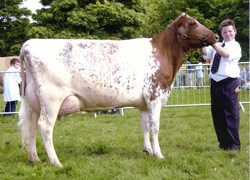 Our herd is nationally renowned for quality and has an impressive show record, which includes breed champions with both Shorthorn and Ayrshire cows at some of the country's top agricultural shows. Get the latest news updates on the news page of our farm website at www.marleycote.co.uk, and on Facebook .